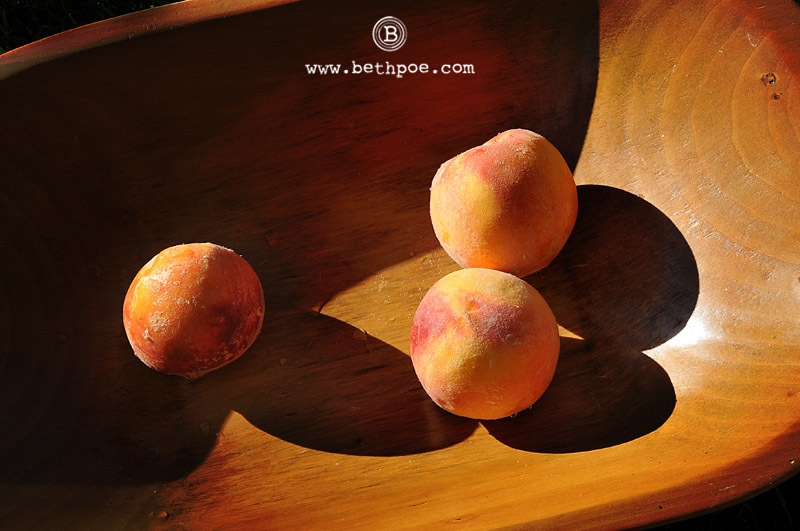 One more edition to my ‘Taste of Summer’ series – peaches. Now I realize that Georgia is famous for its peaches. And I’ve tried them. In fact, I’ve tried many of them. And they taste just fine. 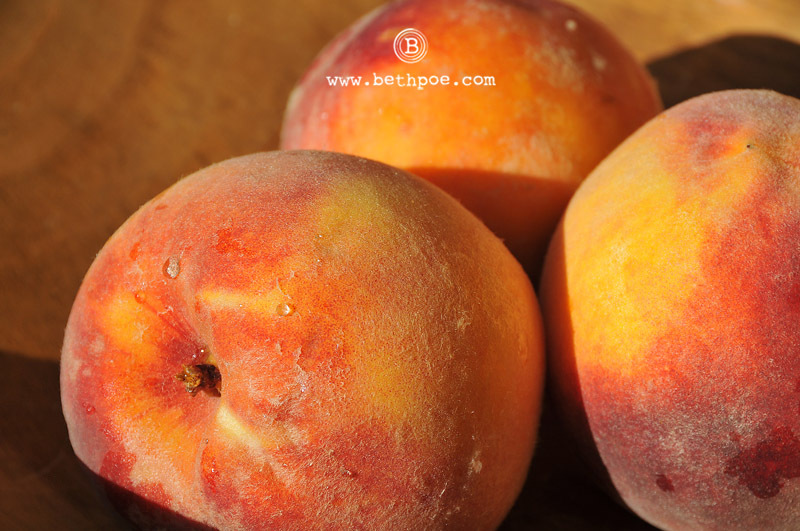 But, honestly, I think a peach from with western slope of Colorado is just about the most delicious thing you can sink your teeth into. Maybe its the hot days and cool nights, maybe it’s that the trees are watered with melted snow pack, or maybe it’s just that they hit the market right after being harvested. Whatever the reason, I find the rich, sweet-tangy flavor of a Palisade peach to be irresistible. This year, these little gems are even more precious as the late spring snows froze many of the buds on the peach trees, making this season’s crop much smaller than usual. So get them while you can. Otherwise, you’ll be waiting a whole year before you’ll have the chance to enjoy them again. Mmmmmmm. Tastes like summer. Your forte is photgraphing food! Lots of money to made in that, too. Thanks, Mary! I still think my preference is photographing people, but food is a great subject because it sits still :-D! Your talent inspires me no matter the subject. 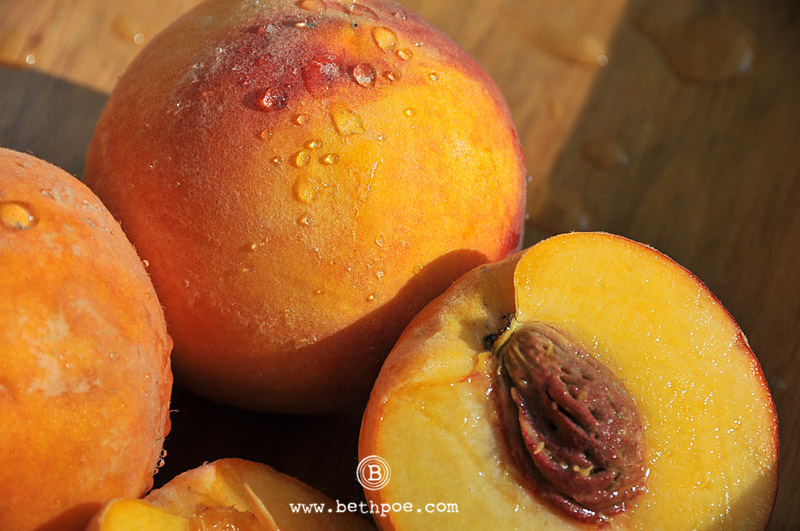 I do adore peaches. That’s so sweet of you to say, Melanee. Thanks so much! Oh how I love a good peach! I’m drooling over here. It’s what I miss the most being abroad. I’m almost never home for peach season. Thanks for these beautiful photosl. Too bad I can’t eat my computer screen, otherwise these peaches would be gone! :-D, you crack me up Shannon! Sure wish I could send you a crate full of peaches, but I don’t think they’d survive the long journey.